As France experiences a rise in anti-semitism the heavily-migrant populated Paris suburbs are seeing their Jewish communities dwindle as families choose to move away. While no official statistics exist on the number of Jewish families leaving the Paris suburbs of Seine-Saint-Denis, Jerome Fourquet, director of polling firm Ifop has claimed that the number of Jews fleeing anti-semitism has soared over the last 15 years, BFMTV reports. “Over fifteen years, numbers of Jewish populations or families have collapsed in a series of municipalities from Seine-Saint-Denis,” Fourquet said. “In Aulnay-sous-Bois, the number of families of Jewish faith has thus decreased from 600 to 100, at Blanc-Mesnil from 300 to 100, in Clichy-sous-Bois from 400 to at 80 and at La Courneuve from 300 to 80,” he said. “But they also know that they can no longer live where they live and therefore choose to settle elsewhere in France,” he added. Pupponi also admitted that the profile of the perpetrators of anti-semitic attacks had changed. “Ten years ago, anti-Semitic acts were committed by adults, who had strong prejudices about Jews, like the fact that they have ‘a lot of money’,” he said. 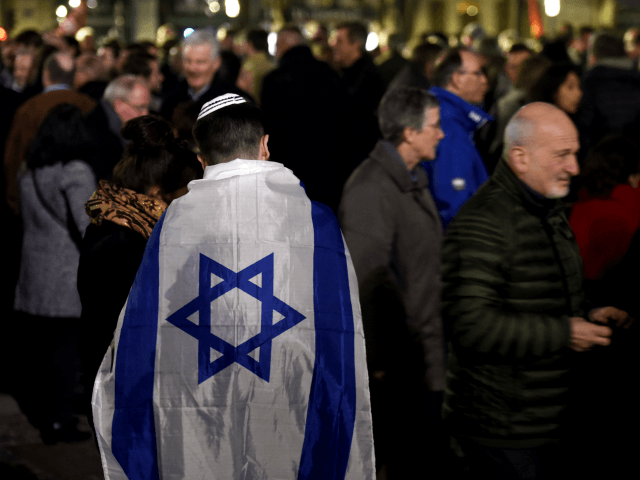 Yonathan Arfi, vice president of the Representative Council of the Jewish Institutions of France (Crif) said that the pressures of anti-semitism have led to families moving. Anti-semitism has become a major problem in France with two murders linked to anti-semitic attitudes occurring within the last two years. Last weekend, Jewish intellectual Alain Finkielkraut as also verbally abused during the weekly Yellow Verst protests by a man who turned out to be an Islamic radical.